There's an architecture student creating aesthetically pleasing, hand-stitched notebooks and sketchbooks. 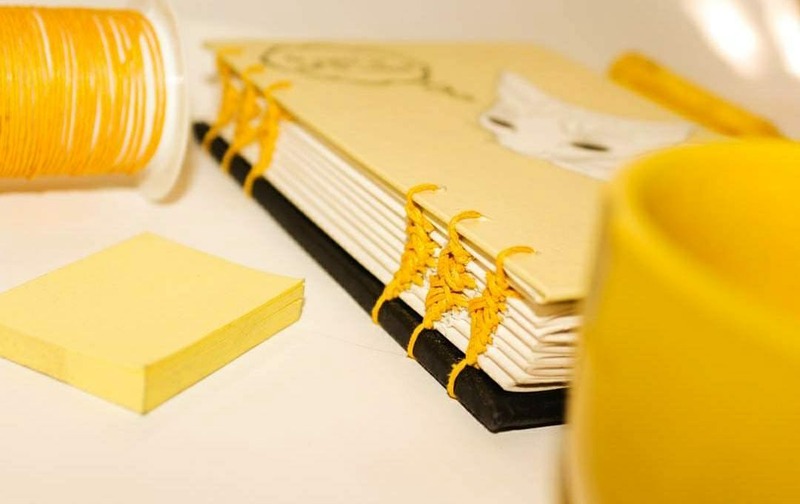 What's more, she designs the covers of these notebooks herself, and also makes the paper from scratch. (WHAT?) Little Peanut & Books is an Instagram account run by an artsy architecture student. She makes notebook cover designs based on her life and experiences (they're mighty cute and soulful), has them printed and laminated on durable boards, then stitches these with paper (it's recycled) that she makes herself! Yes, you read it right. Every notebook is unique because she makes it only once an order is placed. She takes note of all your preferences like whether you want a design in landscape or portrait style, the stitching style, whether you want a secret pocket at the back of your notebook, etc. The notebooks are reasonably priced for the kind of effort that goes into each masterpiece. They start at INR 400 and go up to INR 650.